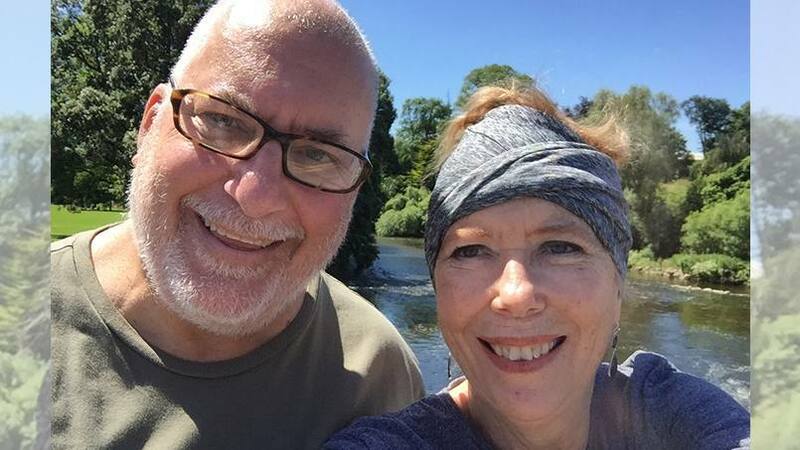 Janie Magruder reflects on her cancer diagnosis and treatment, including a crucial stem cell donation from an unlikely source that helped to save her life. I must have looked like a deer caught in the headlights. "You're going to be fine," whispered my nurse after getting me settled in my hospital room at Mayo Clinic in Phoenix, Arizona, on Feb. 20, 2016. "This is a marathon — an ultra-marathon — but it is curable," reassured one of my doctors. "We're going to get you through this." "This" was acute myelogenous leukemia, a blood cancer that I knew little about, and that, as risk factors go, I wasn't likely to get. I wasn't old enough. (Most patients are at least 65.) I was the wrong gender. (Men are more likely to be diagnosed with AML.) I had no other blood disorders. I'd never been treated for previous cancer with radiation or chemotherapy. I hadn't been around benzene or other dangerous chemicals, and there was no exposure to a nuclear reactor incident in my past. In fact, I'd been so healthy all my life, I could count on one hand the times I'd been hospitalized. My parents raised me to believe in God, and I've never lost that faith. I believed, too, that he had a plan for my life, that he was the ultimate healer, and that he would never leave my side. Many nights in my hospital room, I clutched my late mother's "Jesus rock," as she called it. It just fit in the palm of my hand, as it had in hers. I prayed a lot, and I had a team of prayer warriors in my family, my church and around the country who were praying for me, too. I clung to my faith. Nobody diagnosed with cancer knows how to deal with it, nor do their family members or friends. There's no training for such devastating news. What do you do, say, think? What should you read and what should be avoided? That said, you would not have known that my husband, Jack, was not schooled in cancer-patient caregiving. From the first, Jack didn't let on how scared he was. He simply bravely carried on. He kept working. He kept caring for our home, our youngest son, and our two dogs. Jack kept showing up. I don't know how he did it. He and I agreed we would take everything one day — sometimes one hour — at a time. He visited me every day, sometimes twice a day, and kept in touch with our family members and friends. We promised we would try to maintain a positive outlook about my treatment and recovery, not just to convince ourselves that things were going to be OK, but also for our children. Read the rest of Jane's story.